When it comes to the Christmas season all of my favourite things seem to have fun seasonal editions. My favourites things quite coincidentally tend to start with 'C', chocolate, cinnamon and of course cheese. 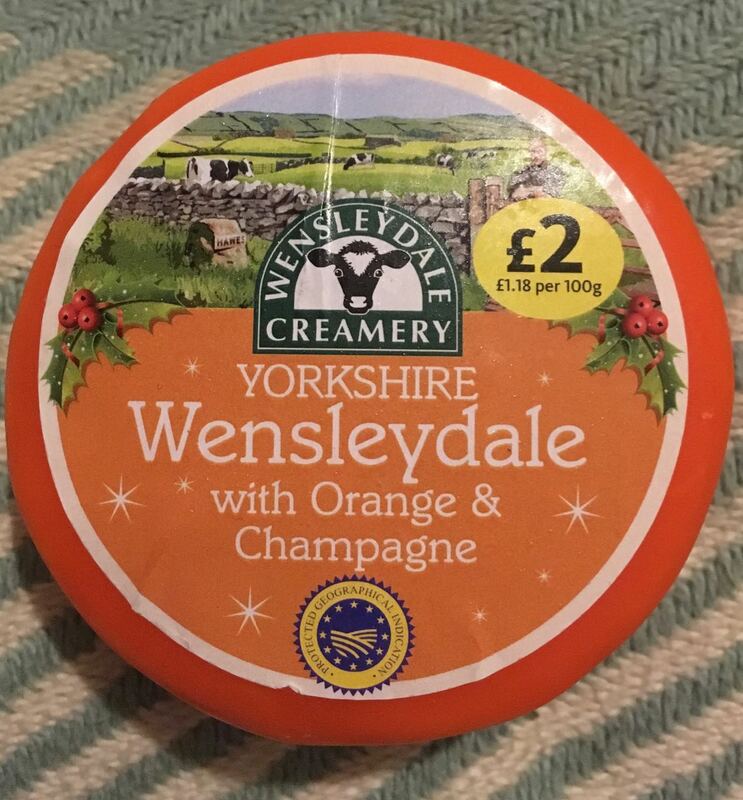 This new cheese was found in Morrisons as part of their Christmas selection, and it sounds remarkably posh for a £2 cheese; Wensleydale with Orange and Champagne. It is packaged in its orange wax to keep it fresh. The best way to open these wax covered cheeses is to cut the cheese in half and then just peel the wax away; in case you were wondering. This Wensleydale is a soft crumbly cheese, but still cut well. 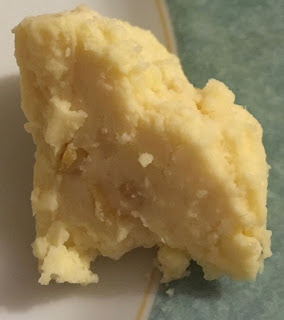 The cheese itself has quite a few bits of orange mixed in but isn’t too sweet a flavour. The cheese is very creamy, and the hint of champagne does give a nice wine like freshness to the taste. The orange adds a sharper flavour of citrus, that works well with the cheese, but doesn’t overpower it. The pieces of orange add nice texture and little bits of flavour intensity within the cheese. Overall though this is a mild easy going cheese with a posh twist. I’d heartily recommend picking up one of these cheeses for a Christmas cheese board, it is different enough to impress, but still a flavour that everyone can enjoy. After all, not everyone likes camembert and the strong blue cheeses.